Tired of your boring old yard? Here are a few inexpensive and easy ways to update it and give it the face-lift it needs. Although this means shelling out a little bit of money, in the end, the way your lawn and shrubbery will look after they are through will be worth the cost. Usually, it’s pretty simple to find a lawn service in your area and one that will also fit your budget, such as Yard Master Services in Idaho Falls, Idaho. Sometimes having a clean and cut yard is all that your yard really needed. One thing that is relatively easy to change in and out as the seasons go on and can really help yo make your yard pop is planting flowers that are in season. This is a great way to add some contrasting color as well and can help you to draw the eye to a certain part of your yard that you wish to highlight. Have a tree that seems to be blocking the view of your house or a bush that never looks quite right? It may be time to clear them out and make some space in your yard. Clearing out unwanted trees, shrubbery, stones, whatever they may be can clean up the appearance of your yard and help to make it look more clean and streamlined. Plus it will be one less thing to clean or cut, which is a huge benefit of its own. If it seems difficult to remove or you are not quite sure how to go about doing it, that may be another reason to consider hiring a professional to help. If you have kids or pets your yard can start to feel like an extension of their room or play area with all the toys they litter and leave behind there. 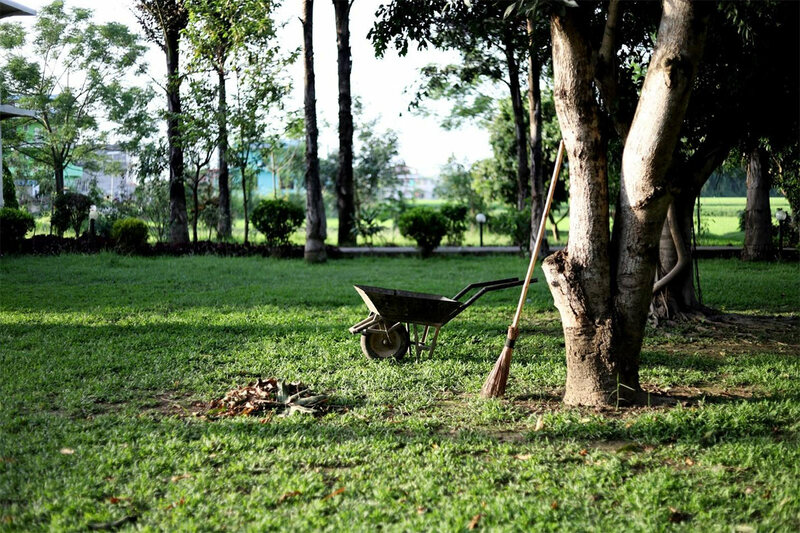 The best way to help that and make sure your yard is a place they can play but still keep the appearance of a nice, clean yard it to ensure that everything has its own proper place. Have bins that can be easily accessible to them but inconspicuous to those looking at your yard, that way they can have their fun but put it away and not have it out for everyone to see.